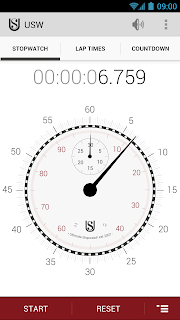 GeekYouUp's Mobile Blog: Ultimate Stopwatch & Timer finally updated! Ultimate Stopwatch & Timer finally updated! Finally after almost a year of good intent, the updated version of Ultimate Stopwatch & Timer for Android has just gone live, v5.0.0. It'll be making its way through the interweb caches to an Android Market near you soon. Thank you so much +Marie Schweiz (http://marie-schweiz.de/) for your awesome designs! This blog post gets a 2 thumbs way up from me.